Pictures and images on this website are symbolic only. Copyright © 2010 - - Centex Truck and Trailer Repair, LLC © All rights reserved. 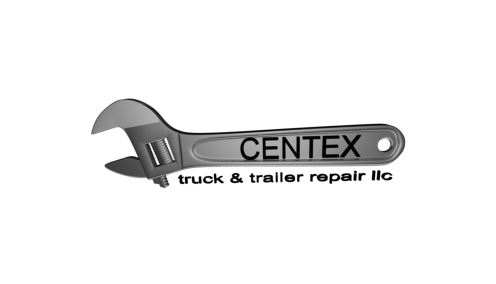 CenTex Truck & Trailer Repair is focused on supplying the best possible service you can find in Killeen / Ft. Hood area. Whether its a gasoline or diesel repair, car or truck repair, or heavy duty diesel and trailer repair, we can help you keep it running. 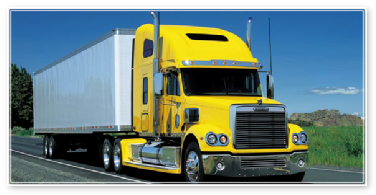 We offer full service truck and trailer services. With ASE certified mechanics, we are up to date on the latest in light weight and heavy duty diesel engines with all the different variety of power plants such as Detroit Diesel, Caterpillar, Cummins, Mercedes and more. In the Killeen / Ft. Hood area we offer Roadside Assistance, Tires Services, Full Service PM, and 24 Hour Emergency Services. Moving to or from Killeen/Ft. Hood? U-Haul cargo trucks / trailers are designed for best possible fuel mileage. Our trucks / trailers are perfect for your planned move, hauling building supplies, landscaping materials or bulky items. U-Haul trucks and trailers are designed for the best possible loading and unloading of light or heavy weight items. Get FREE rental rate quotes for your rental needs. Our mobile services are available 24 Hours to service your truck, trailer or automobile, whether it's on a busy highway or at your truck yard. Our mobile and roadside assistance services include mobile tire service for flats or blowouts as well as tire changing. We also offer services for vehicle lockouts, battery replacements and jump starts. 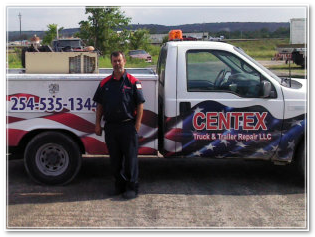 Centex Truck and Trailer Repair is available 24 hours a day in Killeen and surrounding Central Texas Area.